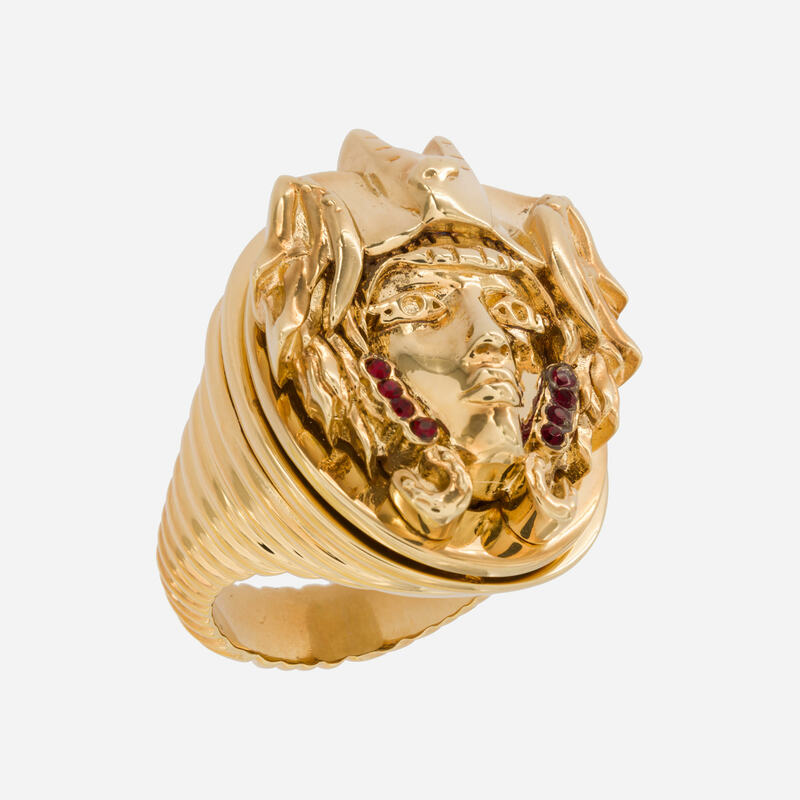 The face of Lucky Moor is the face behind this head-turning ring, it is characterized by a mix of influences coming from everywhere. The horn, used to drive away bad luck according to popular legends; the golden horseshoe, linked to gain; the Egyptian eye, symbol of all-seeing. 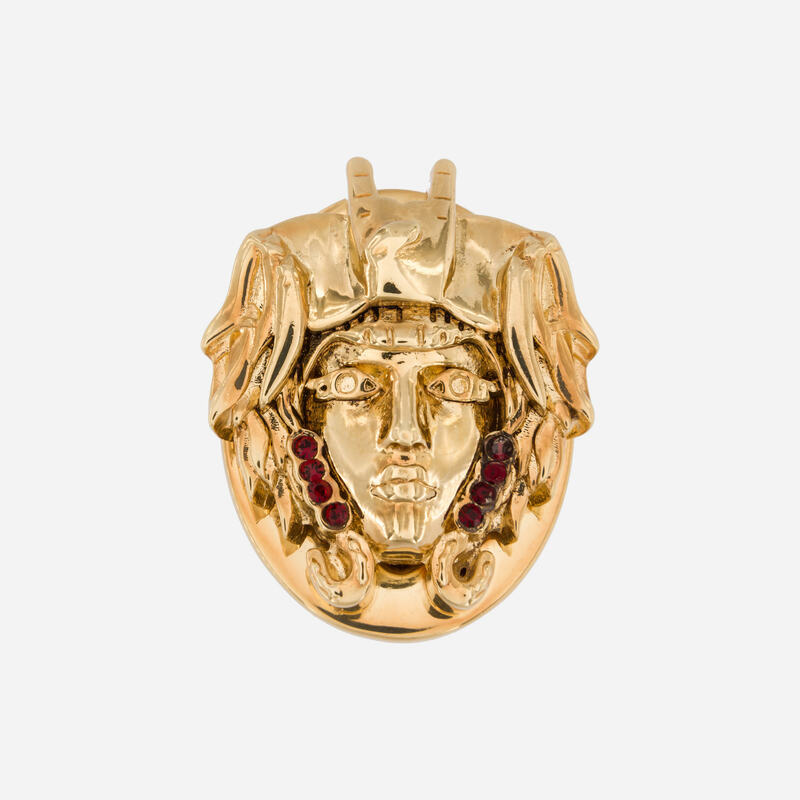 Made of yellow gold-plated bronze, this face is framed by ruby crystals. 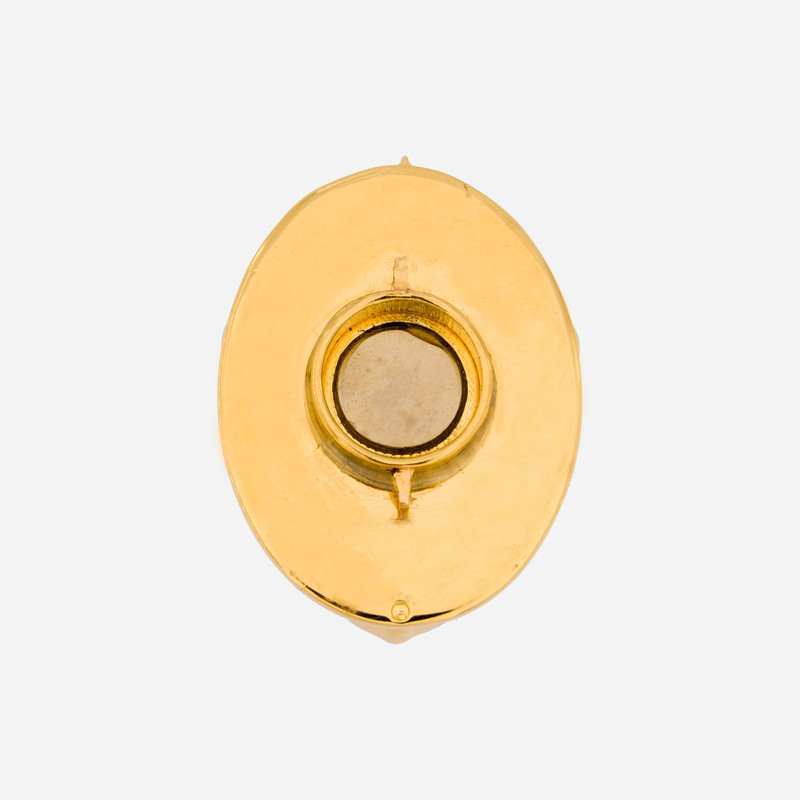 The plaque is equipped with Acchitto patented mechanism of interchangeability that allows the personalization of the jewel, making it one of a kind, personal to you.